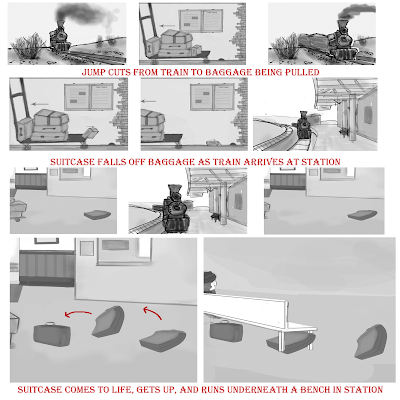 I've created the first few frames of my storyboard, I'm hoping it comes across in the way I've imagined it. The introduction will be jump cuts between the train moving along the tracks to the station and the baggage holder being pulled along towards the platform. I'm now working on the next part of the storyboard, and then I'll try and refine it all.